Performance, value and quality in an attractive studdable design. The Arctic claw extreme grip provides outstanding traction and handling in all winter and cold weather conditions. Special $174.95 each while supplies last, plus taxes,SUBJECT TO AVAILABILITY. The Winter Claw Extreme Grip provides outstanding traction and handling in all winter and cold weather conditions. For sedan, coupe, SUV and light truck application. 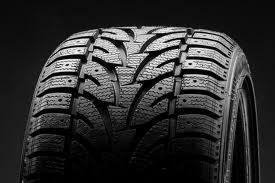 Directional Tread Pattern with curved grooves furnishes enhanced traction on wet and slush covered roads. A Fully Distributed Progression of 12 stud rows provides for superior performance. Dense Siping and Grooves provides excellent traction while maintaining good lateral support. Green Technology: Extensive use of enviro-friendly materials .